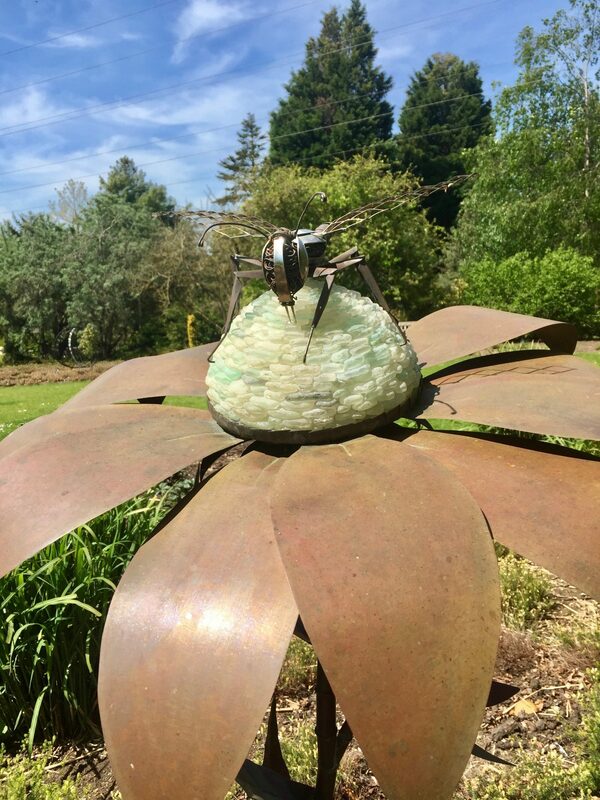 If you ever feel like life is getting on top of you, or you find yourself with far too many plates spinning and you just don’t know where to begin, I can’t recommend enough, a day out somewhere like the Sir Harold Hillier Gardens. 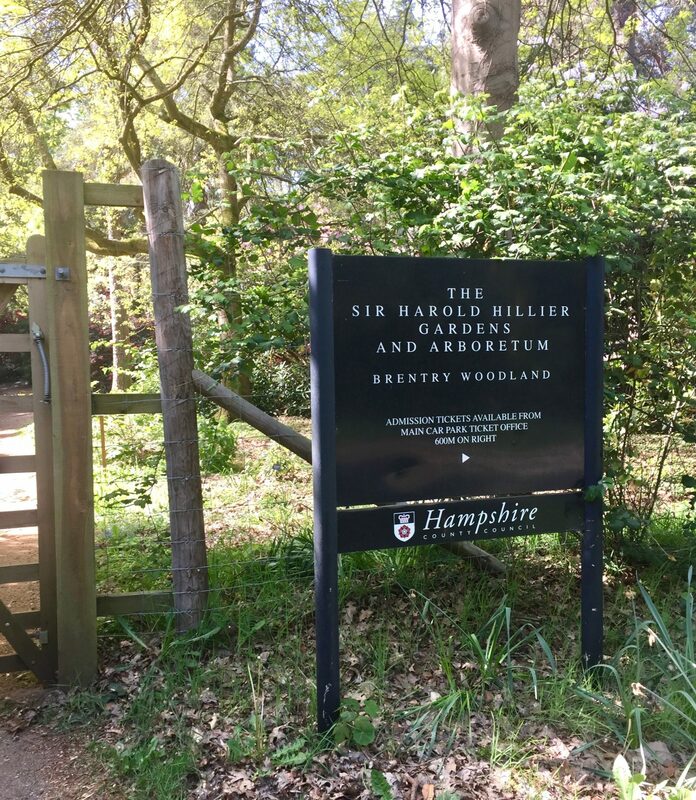 I have been taking some time off work recently (read here to see what happened) to find ‘me’ again, and whilst off, my wonderful parents asked me to join them on a visit to the relatively local gardens and arboretum in Romsey. To be honest it was a little strange, off out on a day trip with just me and my parents. I can’t say I’ve done that in years, as normally the kids and husband are in tow too. But, whilst they were at work and school, we pooled off down the road for a little midweek treat. And what a treat it was. The weather that day was absolutely glorious, so under the warm rays of the sun, we leisurely strolled around the stunning gardens, taking in the vast array of beautiful and sweet scented flowers as we did so. My parents are quite keen gardeners, (and I’m trying to learn!) so they often go on trips like this, or to National Trust or English Heritage properties, but you really don’t have to be green fingered to enjoy a day out here. 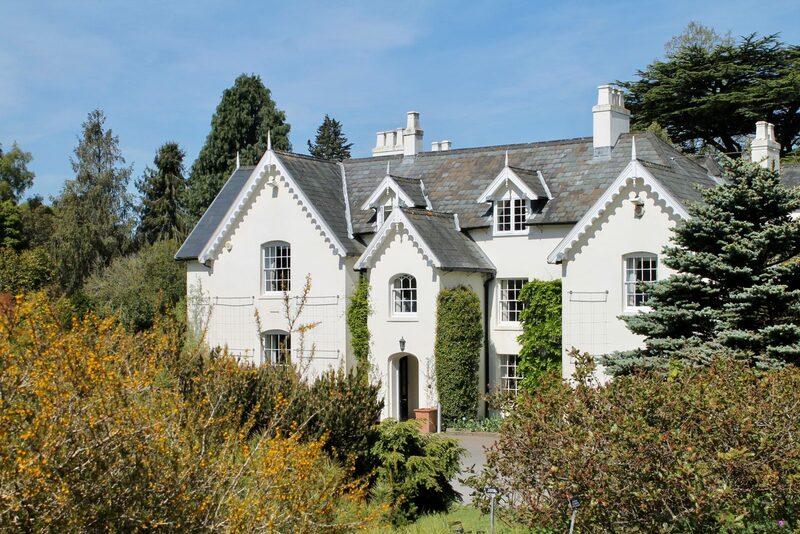 If you appreciate the simple things in life with beautiful flora and forna, and stunning scenery in tranquil and peaceful surroundings, then it really is a lovely way to spend a day. Although this is absolutely not to say it was all quiet. There were a great many visitors that day, as I’m sure there are every day, but due to the sheer size of the property and the way the grounds have been designed, you really wouldn’t notice it being busy at all. There were certainly many moments where we found ourselves on our own in woodland, in the meadows and on the secret pathways, where I could almost pretend they were my very own gardens. A girl can dream, right? Also while we were there, we sometimes crossed paths with a large, boisterous and fun-loving school trip too. They looked as if were having such a brilliant day out, learning all about the different trees, plants and habitats and playing in amongst the gigantic bamboo. Which although a little on the loud side as we stepped aside to let them past us, put a huge smile on my face too. I think it’s wonderful that our children are taken to places like this, where they can experience the joy of beautiful things first hand. After all, it’s not all about theme parks, and I’m sure it must do them the world of good to be able to spend some quiet (ish!) time somewhere so natural and unspoilt. The beautiful gardens are very cleverly designed and maintained for stunning seasonal displays so that guests can visit at any time of the year and still have a wealth of fabulous planting to see. My parents had timed this little trip of ours to coincide with the blooming of the rhododendron and azaleas and although we may have left it perhaps even just a week late, with a few of the shrubs already going over, it was still absolutely stunning to see. I rather love both these plants too, and in their hundreds really was a sight to see..
What else is there to see & do in the gardens? As mentioned above, the gardens are seasonally designed to make sure there is something to see be it summer or winter, rain or shine. 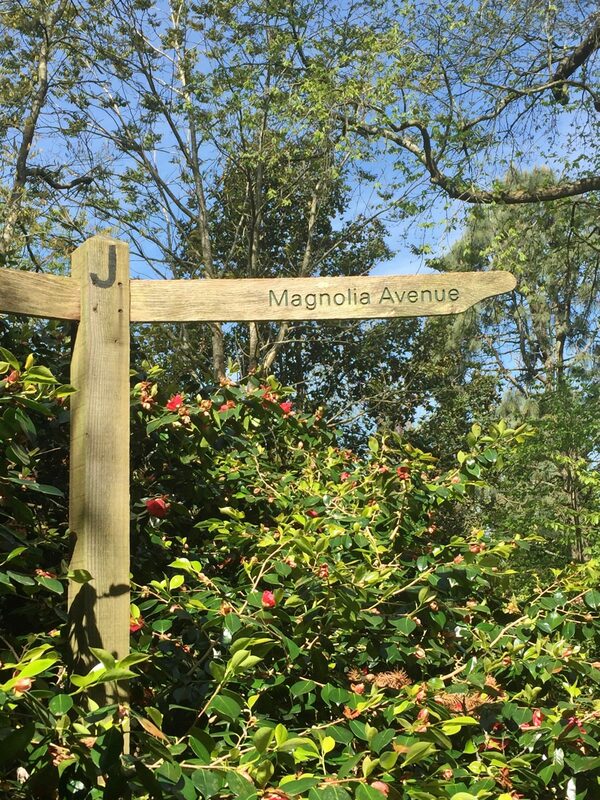 Here are the highlights according to the Hantsweb – Sir Harold Hillier website…..
One of the most delightful times to visit the gardens with Magnolia Avenue and Spring Walk. See the carpets of spring bulbs in full bloom and Japanese flowering cherries in full glory. 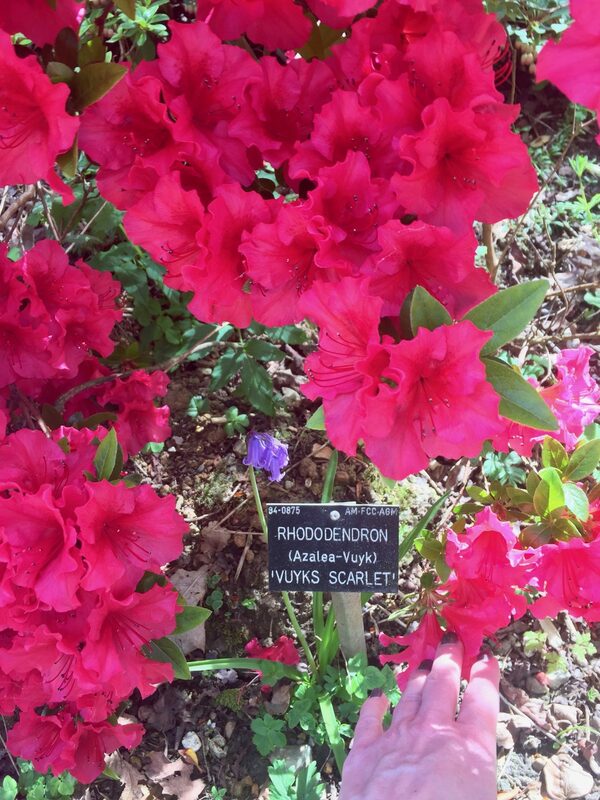 Head into Brentry Woodland, a must-see spectacle of vibrant rhododendrons and colourful azaleas. The iconic Centenary Border is the longest double herbaceous border in the UK. A kaleidoscope of colour, stunning from May through to October. 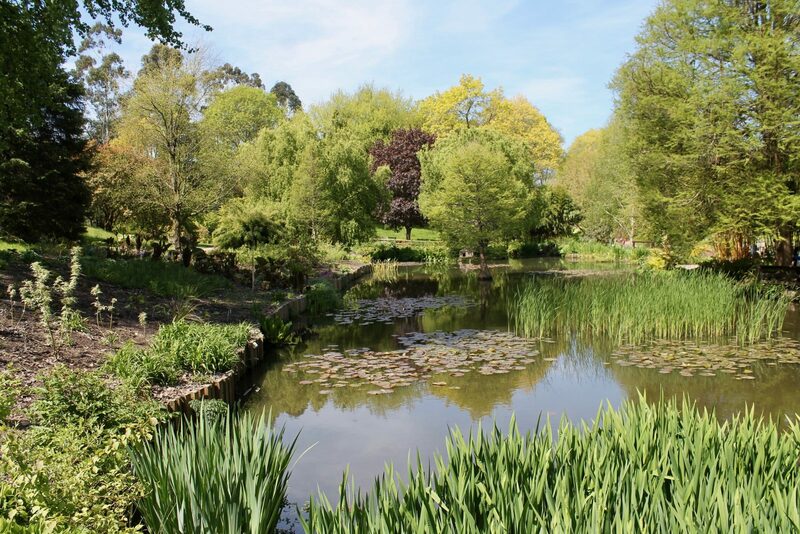 Also enjoy the tranquility of the pond, banked by lush foliage and giant Gunnera. 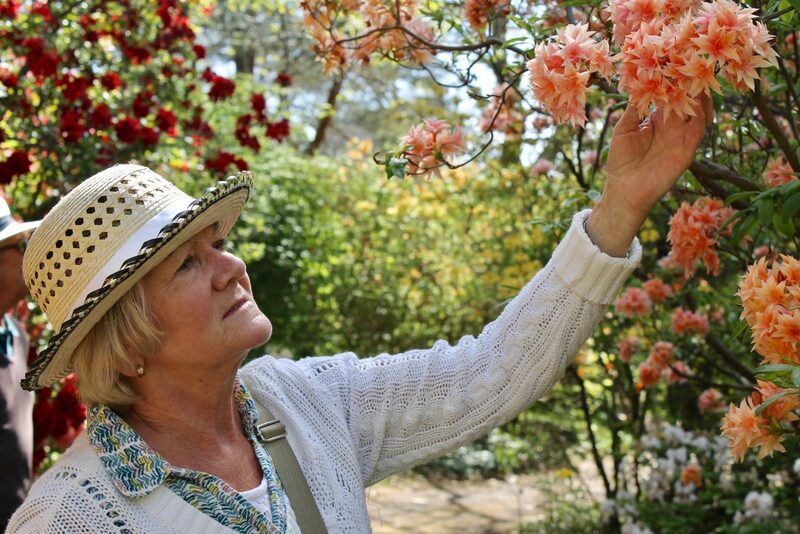 Sir Harold Hillier Gardens is world-renowned for its display of autumn colour. There are hundreds of Champion Trees on show. Autumn is a great time to see the autumn fruits, berries and fungi. Not forgetting the Heather Gardens, awash with pretty purples hues. Enjoy one of the largest winter gardens of its kind in Europe. 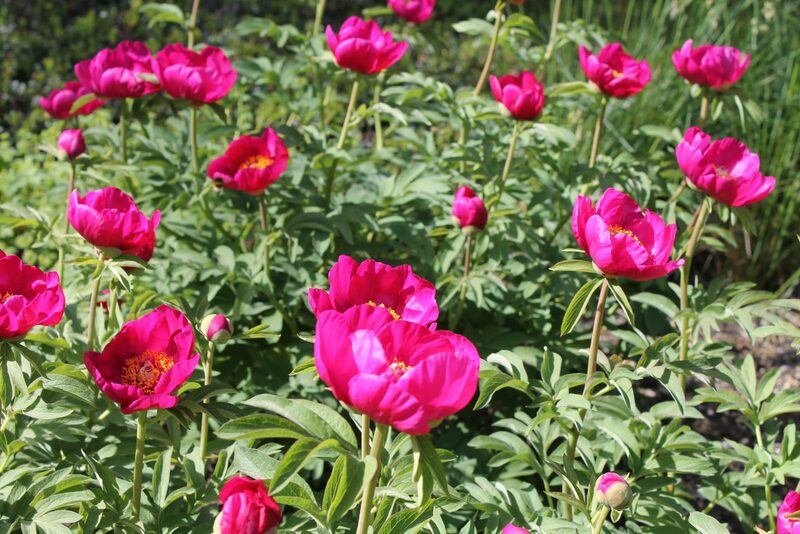 It has many plants selected to be at their best between November and March. 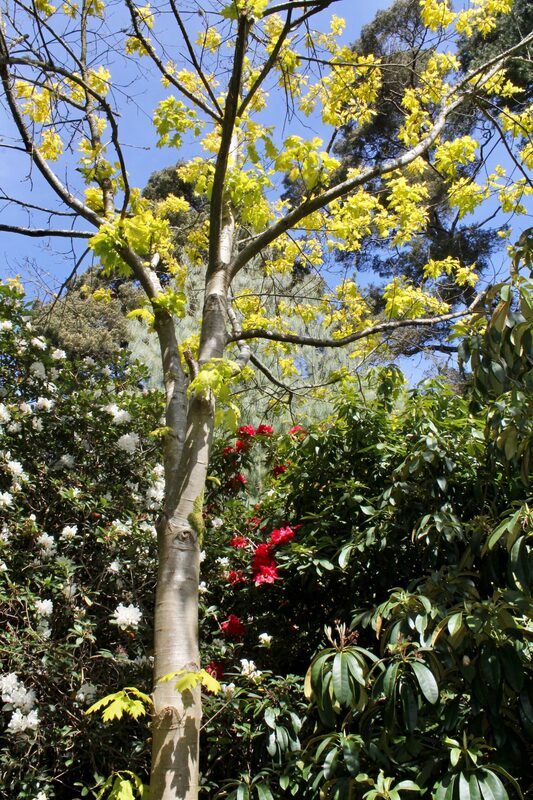 See the bold stem and bark colours and smell the incredible scents. Don’t miss the hellebores, drifts of snowdrops and carpets of cyclamen. The things you need to know…. There’s loads to do and see for anyone and everyone. 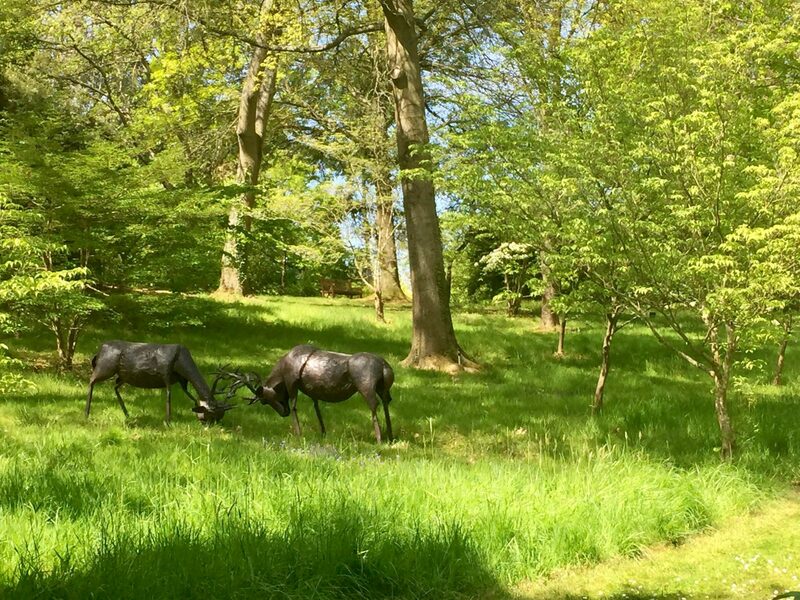 From singles and couples to families and even school groups there’s a whole host of things to see and places to explore in the 180 acre gardens. You can even get married here! There are a couple of places where you can buy food and drink within the gardens. 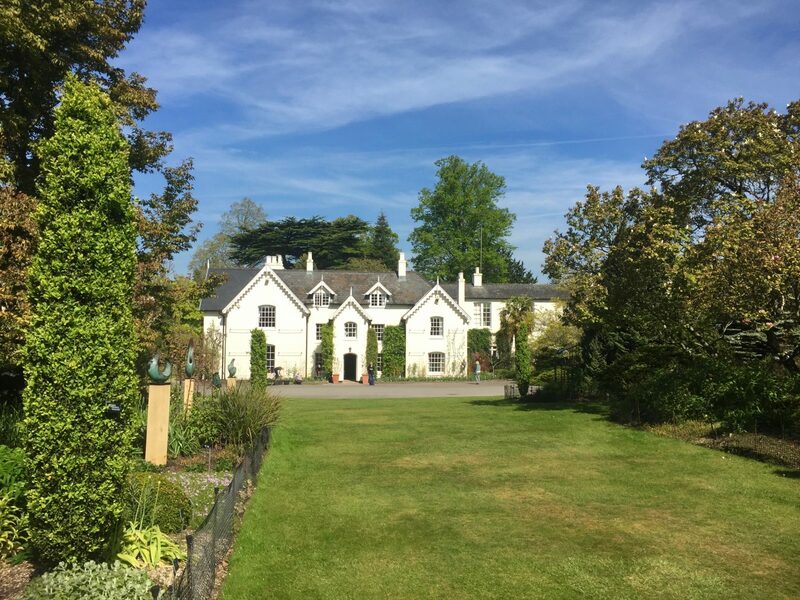 Firstly, the main Pavilion restaurant, which is quite large and serves all manner of food and drinks from breakfast and sandwiches, to hot and cold lunches and even Sunday roast! 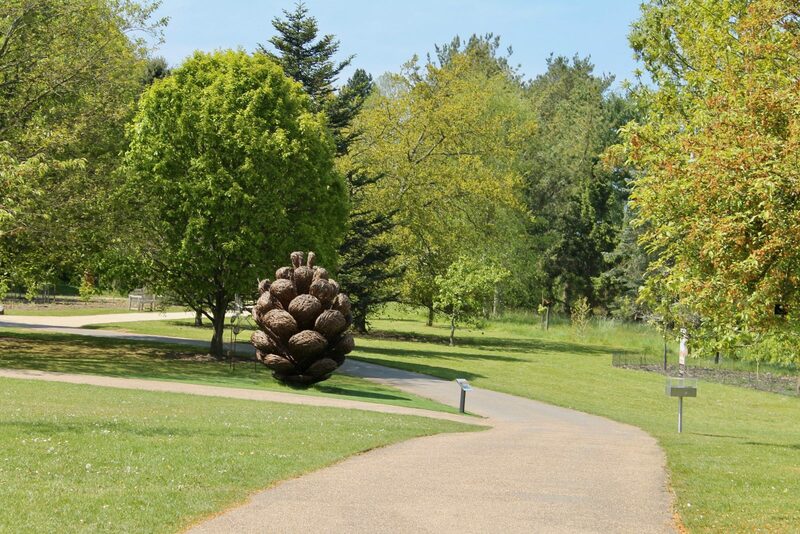 It’s located at the main entrance to the gardens and is open from 10am daily. It’s a first come first served set up, so if you want a table on a busy day, I’d probably advise getting there earlier or later for a better chance of finding a table. This is also a great option through the more wintry months, as it’s fully enclosed, but also has a few outdoor tables for lunchtime dining through the warmer months. If all you really fancy is a light lunch or a relaxing coffee with a slice of cake, (or perhaps even a cheeky ice cream!) you could visit the Tea Rooms. These are located further into the grounds of the gardens, in Jermyn’s House. You can’t miss it – its the gorgeous white house in the photos above. Here you will find a good selection of picnic tables and outdoor seating within the great walls of beautifully matured yew hedges. But, to be honest, if I visit again with my family and children in the coming summer months, I think a picnic will be the order of the day. Either bring your own blanket or use one of the many picnic tables which are literally just dotted around the grounds. As we walked through the gardens we found so many gorgeous, almost deserted spots where it would have been wonderful to just throw a blanket onto the grass for a bite to eat and to bask in the sunshine. Plus, I would say this is a far better option with kids as they can play or practice their cartwheels to their hearts content too. I do love a bit of old-fashioned fun. 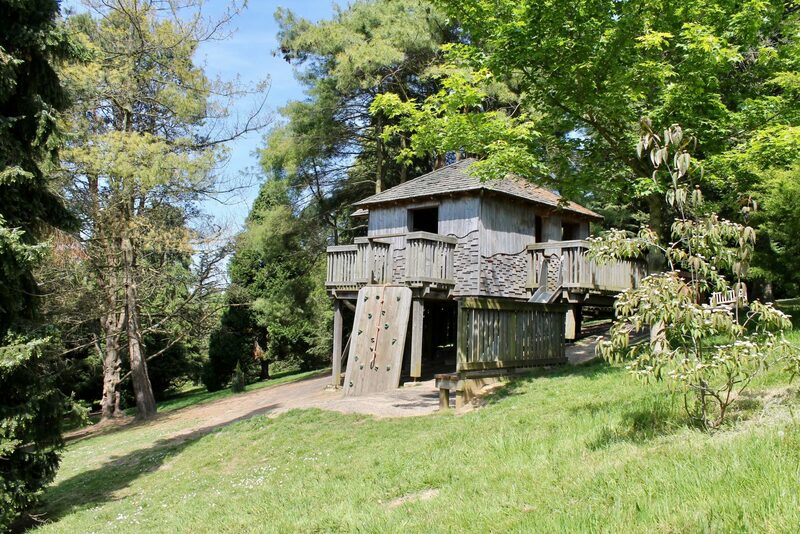 Other than the fact they have acres of beautiful to explore and run around in, there are some elements of the gardens the children will find especially exciting, with bamboo tunnels, a fun wobbly bridge and Board Walk, the Harold Hillier Gardens also have a large designated play area with a fantastic Woodland Tree House with Flying Carpet and Super Snake swings. Even my parents had a go on the slides. You can also explore the woodlands and go in search of the rare breed pigs. 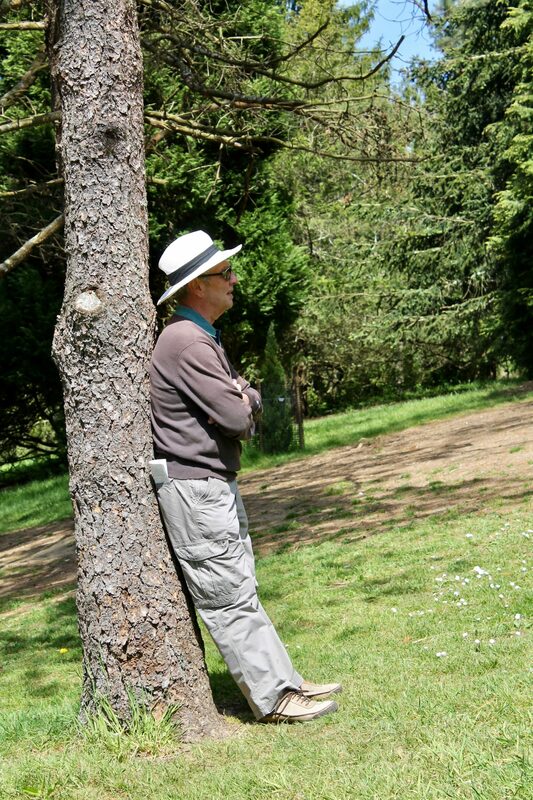 Another option is to try geocaching, with 8 containers dotted around the gardens. The website has a PDF print out with instructions for you to print out and take with you for your visit. Though if you don’t fancy that, why not make up a treasure hunt for yourselves. 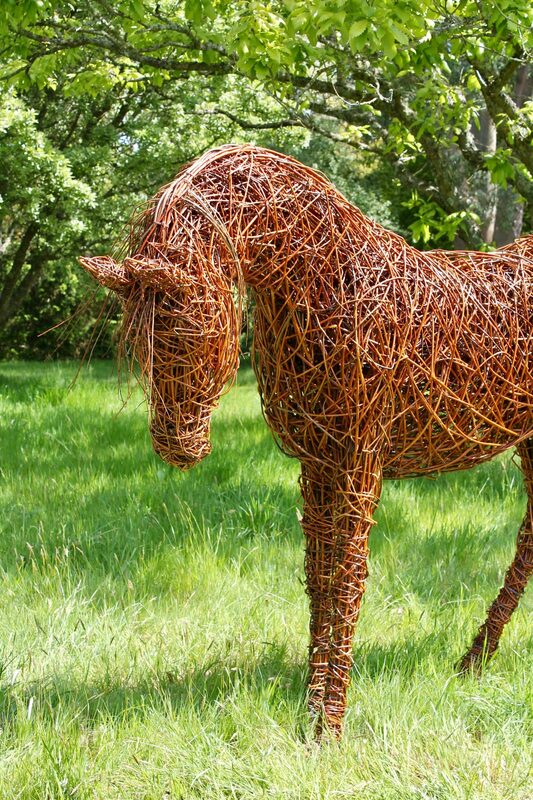 All you need is some paper, pens and a little imagination to come up with some brilliant things for your little ones to search and find on their visit. I also rather like the look of this Go Find It card game from Amazon. Hours of fun for all the family. And something to take on other day trips too. There is also an Education Garden where children can learn and play at the same time. Probably geared more to those on school trips, but still worth a peek, plus there are self-guided activity trails available too. You see – so much to do! Children must be accompanied at all times and no bikes, scooters or ball games are allowed. Children’s events such as fun days, butterfly days, pond dipping and bushcraft events are also scheduled throughout the year, so it is worth checking out their website for notifications of when these are being held. No dogs except assistance dogs. Along with the restaurant and tea room, there is s gift shop and plant centre. Accessible pathways and toilet facilities. The gardens are open all year round except Christmas and Boxing Day – please check website (below) for exact opening times as these may vary. 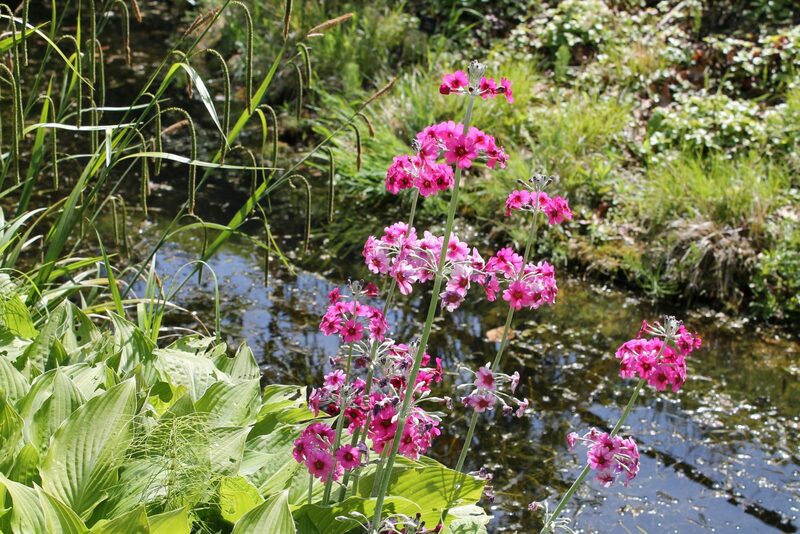 The website is really handy, as it has all the necessary up to date info, plus it lets you know ‘What’s Looking Good’ as far as the many garden areas go. Click here to find out more. So there you go. Doesn’t it look pretty? It was such a brilliant day – I really can’t wait for a return trip with the girls in tow too. Have you visited anywhere like this before with your family? Or is it somewhere you would consider? Hello Steph, I just loved your blog. Flower are so attractive and as well as butterflies which looks so beautiful. I love this pink and white flower planting. You have described such an amazing tips for making a garden more attractive. Thank you for your lovely post. Hey Steph, It was a really nice blog, I just enjoyed it. These flowers are so beautiful and mesmerizing. These pink flowers are just amazing. Thanks for sharing this blog. Great post, I just delighted in it. These blossoms are so excellent and hypnotizing. These pink blooms are simply astounding.thanks for sharing. Keep up the great work! What a beauty of nature. Only God is a creator of natural beauty , nobody else. Nice blog and beautiful post it is! Thanksgiving! Barnard recently posted…How To Deal With Wind At The Time Of Hunting With A Bow. Just Amazing to look! I feel so fascinated that makes me refresh. Really nature has its artistic beauty. Thanks for sharing this post.